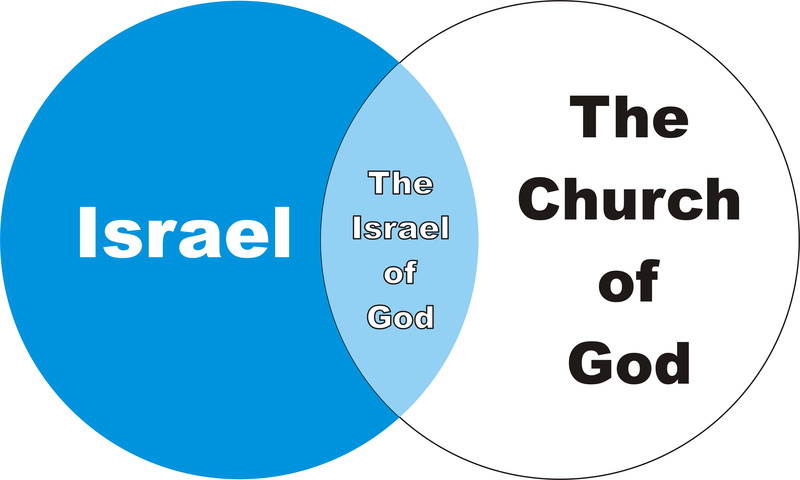 As I have been watching the Palestinian/Israeli issue, I have been struck by how many Christians seem to think that the Church replaces Israel, or that the Christian Church is “the Israel of God”. The recent “Christ at the Checkpoint” conference has brought this issue front and centre. The term “The Israel of God”, found in only one place in the bible, (Galatians 6:16) has been used as a basis for Replacement Theology, and antisemitism, for a many centuries. As a young person I had been told that “The Israel of God” is the Christian Church. The person who told me that might be somewhat embarrassed if I could remember who they are, once we get through this. Paul is writing here to believing Gentiles, who were being compelled to be circumcised by some of the Jews. As Paul says in verse 15, Christianity is not about circumcision, or non-circumcision, but about becoming a new creature, through the new birth in Christ Jesus. Now he gets to the part in question: “As many as walk according to this rule” meaning the Christian Church has no regard, one way or another, toward circumcision. “And upon the Israel of God” is in addition to those he had just mentioned, not that they are not a part of the Church, but rather that Israel is divided. He is not directing these blessings to all of Israel, but to the “Israel of God”, the Jews who are a part of the Christian Church. You see, he had been criticizing the Jews who wanted to circumcise the gentile Christians, and then talks about the Israel of God, as a distinct entity from national Israel, but he was not referring to gentile believers. He was referring to the people who were both members of Israel, and members of the Church. If you are a gentile, and a born-again believer in Jesus Christ, you are a “gentile of God”! Both “Gentiles of God” and “Israelites of God” are part of the Church of God. 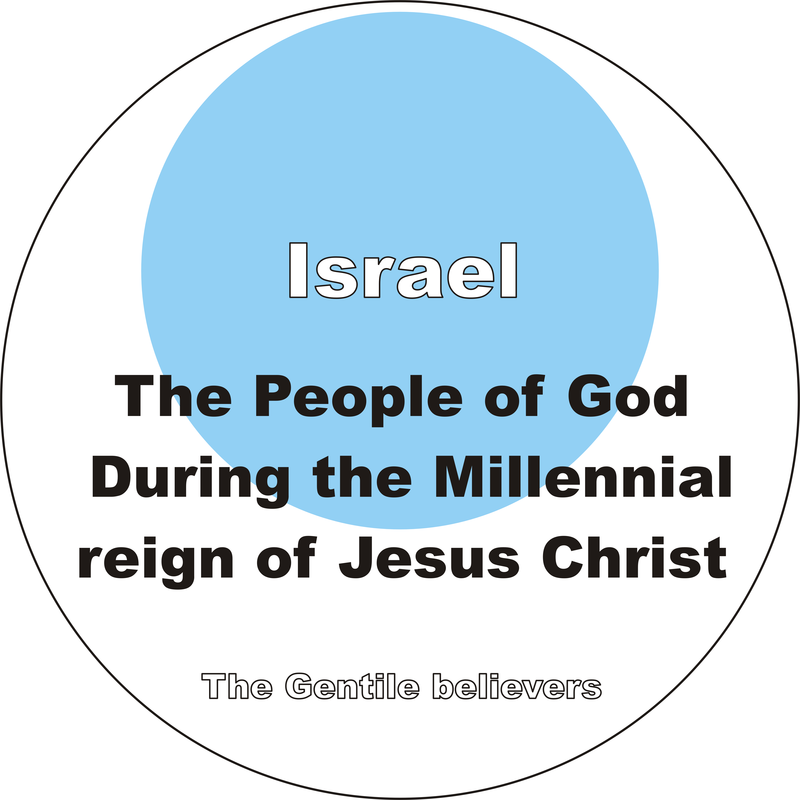 The term “the Israel of God” is a collective term for all the Israelites who are in the Church of God. So, what Paul is saying here is that both the Israel of God, and the Gentiles of God, understand that neither circumcision, nor uncircumcision, has any value apart from having a changed heart! By the same token, the term “Spiritual Israel” does not denote the whole Church, but only the Israelites/Jews in it! This term does not appear in Scripture, but we can see its existence in those Jews who are also Born-Again Christians. For anyone still doubting the distinction between Israel and the Church, I’d suggest reading Romans chapters 3, and 9-11. Anyone who says that the Church replaces Israel is a liar, and is not taking the bible in its literal sense. If your pastor says that, I’d suggest you leave that church. Now, some might be asking: “What about the verses that say ‘all Israel shall be saved‘?”(Romans 11:26) First, remember that “context” in Scripture means not only “the verse before and the verse after”, but “all of Scripture”. If Paul had meant the Church when he said “Israel” then it implies that some members of the Church are not saved. The problem is that I was not IN the Church until I was saved. There are many people who think they are in the Church, and attend every week, but who are still His enemies in reality. They are not in the true Church of Jesus Christ, but it is still possible to be in Israel and yet not saved. This is referring to the end of the Tribulation period, also known as “the Time of Jacob’s trouble“. Why is it Jacob’s trouble? Because it is God’s judgment against Israel, and 2/3 of them will die at that time. The bible does not tell us how many of those two thirds of Israel will die for Jesus, nor how many will die at the hands of Jesus, for supporting the Antichrist, nor how many die for just being Jewish. I think there will be many in each situation. If you are a Gentile, don’t be complacent. The evidence is that many more Gentiles will die at that time, than Jews! It is not only God’s judgment against Israel, but also His judgment against the whole human race! Israel will be the preeminent nation on earth during the millennium. Everyone who goes into the millennial reign from the Tribulation, will be a believer, but many of their descendants will be unbelievers. Israel, however, will be 100% saved, and will stay that way! Praise God! 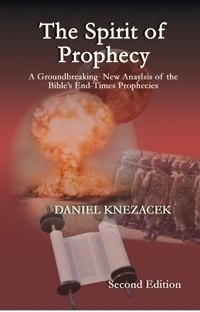 Dan Knezacek is the author of “The Spirit of Prophecy”. For anyone interested in an excellent website/blog by members of “the Israel of God”, see the Rosh Pina Project. This entry was posted in Christian Doctrine, Prophecy and tagged antisemitism, christ at the checkpoint, dominionism, galatians 6, galatians 6:16, gentile of god, Israel, israel of god, politics, replacement theology, Spiritual Israel. Bookmark the permalink.